Business cards are pretty common, yet extremely functional and practical way of promoting and advertising business. It is one of the most effective and cost efficient marketing tool that has received alteration several times right from the time it was started. 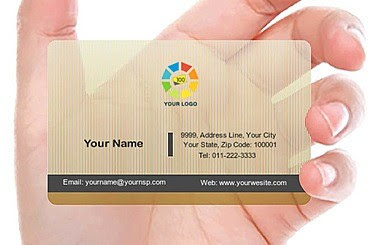 The traditional business card made of paper, which normally pops up in our mind when someone mentions visiting cards, has been replaced rapidly by translucent business cards. Usually the translucent cards are of the same size or maybe slightly longer than the ones made of paper. They are made of plastic and are safe from normal wear and tear. Dirt or moisture bring no harm to these cards and they can stay in someone’s purse or wallet for much long than you can imagine. If you get the translucent cards from the right manufacturer, you will have the best quality and finish on your sturdy cards. The company’s name, logo, contact details and your message will be conveyed in user friendly way along with attracting your client to have business relationship with you. No matter what your business type is, the translucent business card is going to leave the best impression on your potential client. Translucent cards might be a new thing for many, but it definitely has a great future. They are replacing the cards made of paper very fast. So, why not be a distinguished marketer and have them so that you and your business stands out. If you want to gather more information, visit 100yellow.com. All rights are reserved 100yellow.com. Watermark theme. Powered by Blogger.